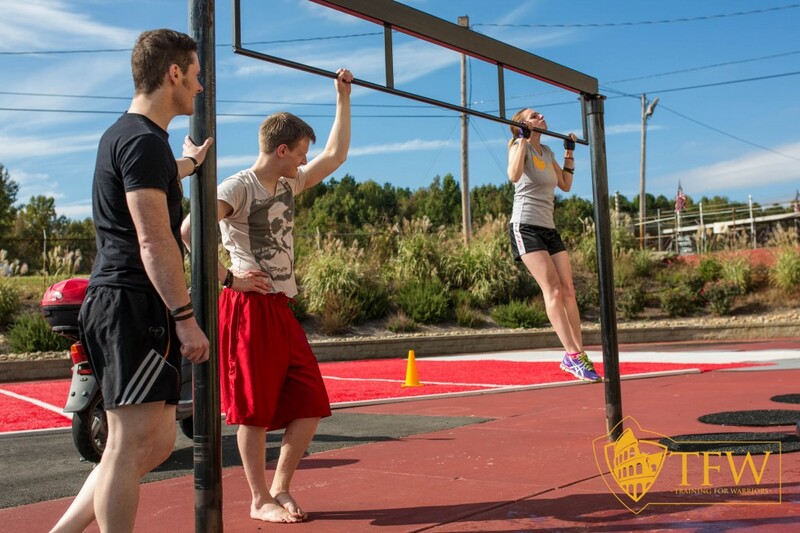 Some of you may have already read this blog as it was written for and published on http://www.trainingforwarriors.com/2013/10/the-summit-experience/ . Last year’s TFW summit was almost exactly a year ago. Even though it may be old news, since I’m keeping my adventures in chronological order, it may be new to you! Enjoy!! Special thanks to Lucas Noonan for the amazing photography that I used for this blog!! “LAST SET. BEST SET! LAST SET. BEST SET! LAST SET. BEST SET!” Our battle cry. These words echo through the trees of the US National Whitewater Center in Cornelius, NC. These words speak volumes. They denote that even though we have given our all at the beginning; we will continue to do so until the very end. It’s the mental fortitude to keep pushing forward that makes us better today than we were yesterday. Dressed in uniform black and yellow shirts we get asked the whole weekend, “Are you guys training to be in the military?” No, but we are a unit. We never leave anyone behind and we will cheer them on until they’ve made it to their goal. “Are you guys fighters?” Well, in a sense. We are warriors. We fight against cancer, heart disease, diabetes, and obesity. “Who are you guys?” We are a fitness brand joined together to resist against the things keeping us all from a long healthy life. We burn fat, build muscle and help create the mental toughness to help others live up to their full potential. We help others bring out the warrior within. We are more than that though. We are family. A familia built on positivity and passion. We are Training for Warriors (TFW). My name is Kimberly Root and I am a warrior. I am a martial artist, beauty queen, coach and recently a world traveling blogger. I became a Training for Warriors Instructor in March 2012. Martin Rooney, the founder of Training for Warriors, inspired me. He trained UFC fighters (along with NFL, NBA, MLB, WNBA, and Olympic athletes). I wanted to train fighters. It seemed like following his methods and training techniques were a no brainer. There’s something about Martin that sets him apart from the rest. There are a lot of people who can teach you how to become a trainer, but not a lot of people who can teach you how to be a coach. To paraphrase Martin Rooney, sure you can tell people why broccoli is good for them, but how many people eat broccoli because of you? Training for Warriors was originally developed through Martin’s work with fighters, but is for everyone from the weekend warrior, to the housewife, to the athlete, to the grandfather who just wants to add more years to his life to spend with his grandchildren. It’s for anyone who wants to release their inner warrior and elicit positive change both physically and mentally! Training for Warriors is empowering and those with the same drive for constant improvement seem to gravitate towards it. I know I did and I wanted to see why others did as well. After being over worked and underpaid I decided to leave my job of 5 years in Las Vegas, NV. I knew that there was more to life for me. I have always wanted to travel, but just never thought I had the means to. In a seminar once I heard Martin say, “Instead of coming up with all the reasons that you can’t do something, write down the ways you can. You will surprise yourself.” I did just that. I began; planning and lying out my big adventure and began to get certifications in order to work abroad without feeling financially burdened. 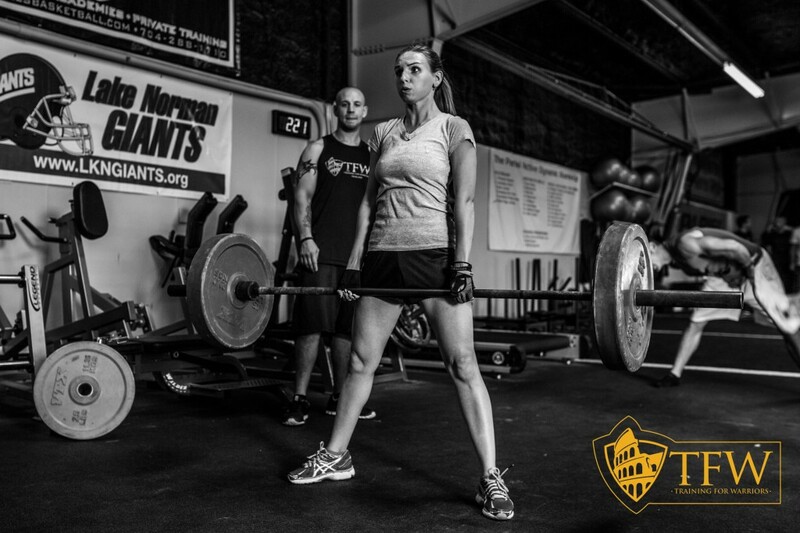 Along the way I decided to visit TFW affiliates, as well as others in the fitness and strength and conditioning industry, to find out what motivates them. I wanted to document my journey so I started a blog about it in an attempt to motivate others. So far I have spoken with over 20 gym owners and affiliates. It is interesting because the mentality amongst these people all seems to be the same. We are like minded individuals and when asked, “What motivates you?” the answer time and time again is, “I just want to help people.” Another commonality amongst everyone I’ve talked to is that they have all taken a risk to follow their passions and have found success in doing so. October 18-20th, 2013, I had the privilege of being invited to the 1st Annual TFW Affiliate Summit. At the Summit I met 50 affiliates from 7 different countries. There are over 85 TFW affiliates, over 1000 certified instructors worldwide and the numbers are still growing! The energy was electric over the course of the three days! There was an impromptu workout on Friday afternoon and PRs were being broken left and right! I even did my first wide grip pull-ups with the motivation of Toby, my newest friend from England. We also had a fantastic dinner that night where two of everyone’s favorite affiliates, John and Bill, learned never to be late or there is potential to be subjected to a little prank, followed by welcoming cheers and embraces of course! Saturday was a day of team building at the US National Whitewater Center. The US National Whitewater Center (USNWC) houses the world’s largest man-made whitewater river. It has over 24 water, land and aerial activities and is an outdoor playground for people of all ages. We mostly spent our time on the rope courses, zip lines, rock climbing wall and my biggest challenge, the obstacle course. The day was nothing short of amazing! The encouragement that each of us gave each other could not be matched. Not only did we encourage each other, but we encouraged people we didn’t even know! Our energy was infectious! Everyone wanted to be a part of our family! The more the merrier! We happened to be at the USNWC at the same time as a 50 km and 50 mile race called the WC-50 Ultra Trail Marathon. Every time a runner would pass we would stop, clap, and cheer them on, propelling them forward. As I have mentioned, my biggest challenge of the day came at the final activity, the obstacle course. I was tired from the rope courses and climbs earlier in the day, my muscles were screaming and the very last obstacle was a vertical rope climb to a bell. Not my strongest activity by any means. I was towards the end of the pack so I had 50 of my familia waiting, watching and cheering at the end; 100 eyes on me. No pressure. The rope was thin, slick, and the knots were too small to really utilize my feet well, but it didn’t look too terribly high. I climbed…. Did I make it to the top?? Stay tuned for Part II to find out!